When at first the AFLW started floating the prospect of a rapid expansion toward 14 teams, with an eye to the eventual inclusion of the four remaining after that (Essendon, Hawthorn, Sydney and Port Adelaide) I was strongly opposed. The fledgling women’s competition, I thought, had nowhere near enough talented players to make such a policy work. 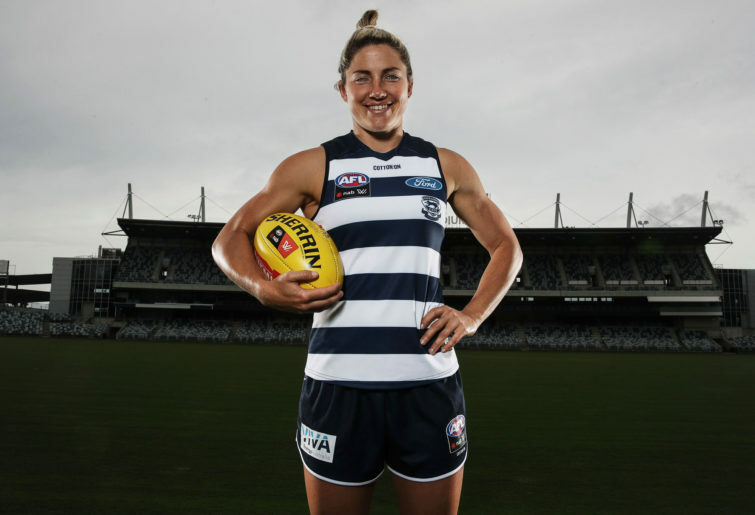 The AFL created the AFLW off the strength of several exhibition games between 2014 and 2016 between the Western Bulldogs and Melbourne Demons that were essentially all-star games featuring all the best players in the women’s game. The product on display in those games, the AFL saw, was clearly something marketable — highly skilled with fast, end-to-end action. But when Season One rolled around, it was clear that that wasn’t what the AFLW was getting. The talent in those two exhibition teams had been spread thin across eight new clubs, creating a standard of play far below that which the AFL had been banking on. AFLW standard is still trying to get back to the level of those early exhibition games. Arguably in some ways it never will — no one plays serious defence in an all-star game, and there’s no flooding and no defensive webs set to choke the kick-ins. Some of the AFLW’s anti-congestion rule changes today reflect an attempt by the AFL to rediscover the excitement of those early games, as though they’re wondering where the product they thought they were buying has gotten to, and if it will ever return. And yet, despite witnessing the obvious and inevitable fall in standard from those early exhibitions, and facing the even more obvious fact that further expansion will spread the talent pool thinner again, I’ve changed my mind about whether it’s a good idea. Now, I’m all on board. Mostly it’s because I’ve seen a glimpse of what’s coming. The AFLW’s inception brought about a ridiculous explosion in female junior numbers, and though the bulk of that talent won’t reach the AFLW for many years yet, the first signs are exciting. Put simply, there are girls coming down the pipeline who are going to be much better than any player currently playing, and there’s going to be a lot of them. These girls are going to create a very different brand of football in the AFLW from what’s presently on the park, and that product, I’m increasingly confident, is going to be a lot more marketable than what’s currently been played, increasingly fun though that is. That future standard can’t be reached early by reducing the number of teams. Think about it. The players we currently think of as being ‘ten out of ten’ will in the future likely only be regarded as sevens and eights out of ten. And the next level down, the ones we’d presently call sevens and eights out of ten, are against this future standard going to be really just fours and fives. If you reduce the number of teams, that won’t turn sevens into tens, and fours into sevens. It’ll eliminate the players below that level, sure, and set a minimum standard for the AFLW, but it can’t set the maximum standard because no matter how you concentrate the existing talent in fewer teams, they’ll never be as good as the best players in five or ten years time. Those players have been born, for sure, but they’re currently skinny teenagers or pre-teens with acne and braces. Some of them might even be Sydney, Port, Hawthorn or Essendon fans, and haven’t yet been inspired to take up the game. And herein lies the problem with keeping the league small. Getting to that future high standard has to be the AFLW’s greatest priority, because it’s only that standard that is going to gain the public and financial support it requires to become the competition of full-time athletes that it aspires to be. This means doing everything possible to increase the size of the talent pool, even if that means sacrificing some playing standard right now. The main thing that seems to increase the talent pool is giving girls in communities across Australia a local team to follow, as anecdotally at least a lot of girls only seem to get interested once their own favourite AFL side has a women’s team. Those AFL clubs also have development regions, and established pathways for juniors from club academies and so on. All of the clubs are now including girls in those pathways to some degree, but obviously the incentive to develop the female game will be much higher for clubs who at the very least expect to soon be participating in the AFLW. The more clubs are in the AFLW, the more money and effort will be put into talent identification and development in footballing regions across Australia, contributing to finding those essential junior stars of the future. There’ll need to be enough of those juniors to eventually fill the rosters of 18 AFLW teams, but the way junior participation is increasing, that doesn’t seem unlikely. In Queensland, for instance, girls’ junior participation is catching boys’ participation at such a rate it seems likely to soon surpass it — no surprise, given that the total Queensland boys’ talent pool remains dominated by rugby. If the same thing continues in NSW as well, we could see more junior girls than boys playing footy Australia-wide within the next ten years or less — assuming, of course, that rugby doesn’t similarly split the female talent pool in Queensland and NSW to the same degree. In the meantime, yes, playing standards in the AFLW will be lower than could otherwise have been the case. But standards are still improving rapidly in spite of this year’s expansion (as I’m confident Season 2019 will demonstrate) and will likely improve again even with the big expansion of 2020 – though given the state-by-state nature of the AFLW, the Dockers and Eagles may be in some difficulty, as Western Australian talent stocks run temporarily thin. But next year’s Queensland draft is going to be a monster, boding well for the Lions and Suns, and next year’s Victorian crop will be better again than this year’s, which was in turn many times stronger than last year’s. Yo pull the handbrake on that momentum for junior growth in the hope of squeezing a higher standard out of fewer teams with less-talented players today seems like mortgaging the future to pay for the present.